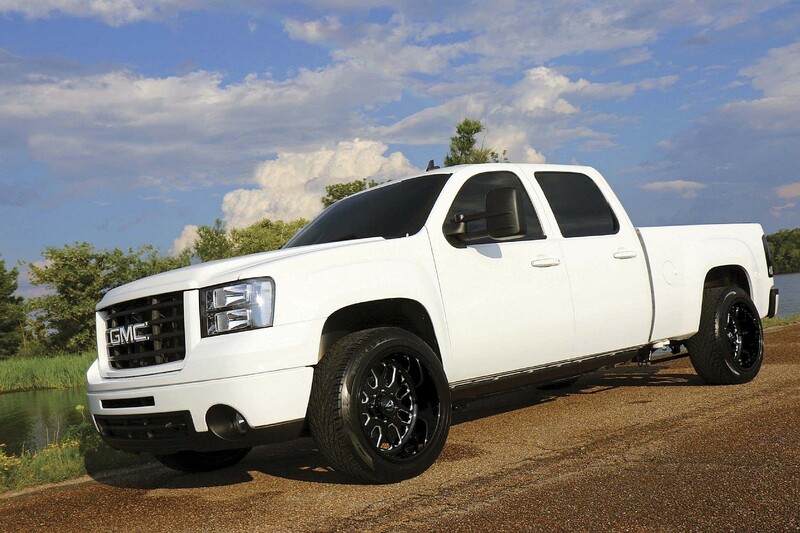 When aircraft mechanic Kenneth Allen Fowler purchased his 2010 GMC Sierra 2500 HD, he had no intention of building it into a lowslung street/strip terror. The Remlap, Alabama, resident purchased the truck with a 6-inch lift kit and large 35-inch tires installed, but the truck was otherwise completely stock and in excellent condition. 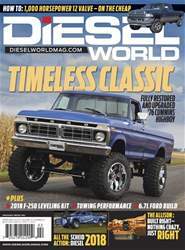 But like most gearheads, Fowler couldn’t resist wrenching on the truck and he soon turned to Brad Kerr at Diesel South in Trussville, Ala., to breathe a little more life and fun into the LMM Duramax. They started by installing a built SunCoast Allison transmission and triple-disc torque converter in the truck along with a Screamin Diesel Performance add-on compound turbo kit for more power for the LMM. The kit uses an S475 turbo with a billet compressor wheel to let the factory LMM VVT turbo spool quickly and make tons of power on the top end. After enjoying the truck lifted for a while, Fowler and Kerr decided they wanted to go to the dragstrip with the GMC and be competitive, so they removed the BDS lift kit and began to go to work transforming the truck into what we see today. Opening the hood of Fowler’s truck reveals a hidden beast with a gentle heart in the form of a completely stock LMM long block, down to the stock head bolts and original gaskets, with an Illusion Royal Blue powdercoated Screamin Diesel Performance compound turbo kit that helps boost the Duramax to 825 hp and 1,350 lb-ft of torque.